Cégeps have made significant contributions to gender equality. Before cégeps, our choices were limited to secretarial work, nursing or teaching. 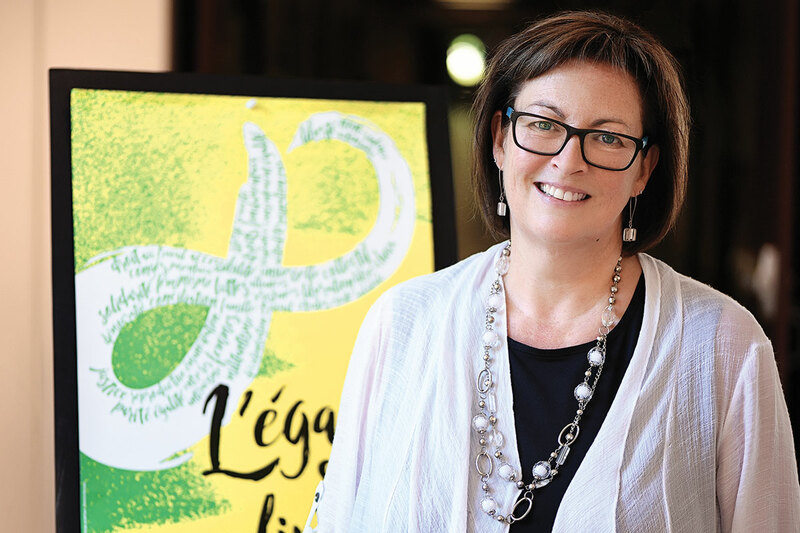 The programs offered in cégeps have allowed us to dream of a different future, and for many, continue on to university, says Hélène Lee-Gosselin1. “The creation of cégeps exemplifies the excitement of the Quiet Revolution. Between the population explosion, economic transformation, and demands for greater equal justice, several elements combined to produce significant reforms in education, most notably for girls,” adds Lucie Piché2. Although the student population was mostly male at first, the number of female students rose to 43% in 1971, and reached nearly 50% in September 1979. In the early 1990s, women were the majority in most disciplines. Today, female students represent 57% of the student population, with single mothers and immigrant women among the adult population. “They want to obtain a diploma or equivalency for a diploma obtained elsewhere. They’ve lived incredible lives and are determined. I think of one woman who lived through a war and helped people swim away to escape. Today, she’s a social work technician in the Saint-Michel neighbourhood of Montréal. She embodies resiliency in its purest form!” says Monique Lussier3. 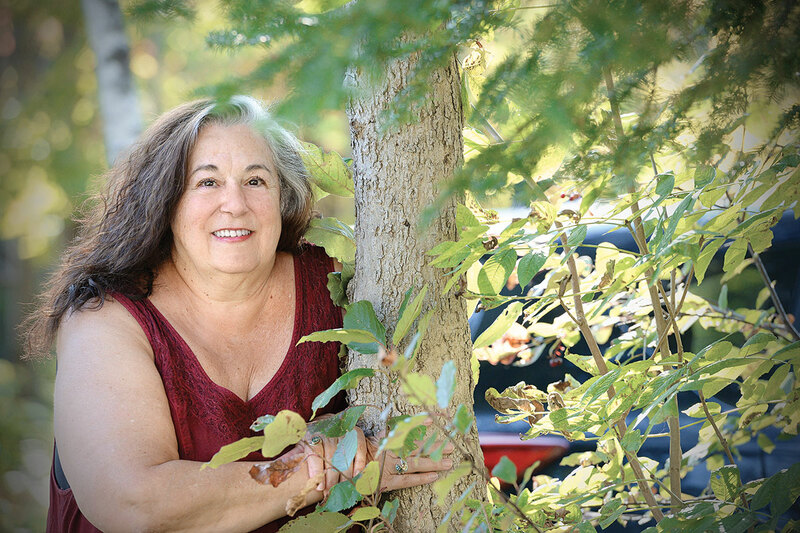 In 1978, Diane Dufour4 was one of the first female math teachers. “Over time, we took our place in cégeps and in universities. But it didn’t happen just like that! Equal access programs contributed.” She adds that work-family balance and issues of parental rights were also a challenge. Silvie Lemelin5 remembers how during interviews in the 1990s, she would be questioned about her marital status and her desire to have children. When asked by employers why she should get the job, she insisted on the importance of female role models, especially in traditionally male disciplines, such as philosophy. Another element that affected the work of women in cégeps was the introduction of new technologies. Anne Dionne6 remembers how in the 1990s, secretaries felt the full impact of new computer technology and software tools. “Remember that at the time secretaries worked with typewriters. When computers were introduced, workers were afraid of not being able to adapt and being replaced by machines. Today, they’re administrative support agents and their work is constantly evolving,” she explains. Cégeps are one of the areas in which the proportion of female workers has significantly increased, reaching nearly 56%7 of the overall workforce in 2015. This progress can be seen in all categories of employment, except in manual, maintenance, and service jobs8. Unfortunately, the work of support personnel – mostly female jobs – still does not get the recognition it deserves. “The expertise of receptionists and support staff is rarely acknowledged! Furthermore, our members, notably recreation or practical work technicians, and food services workers and interpreters, must deal with part-time schedules, layoffs during the summer, etc., in short, difficult working conditions,” says Anne Dionne. 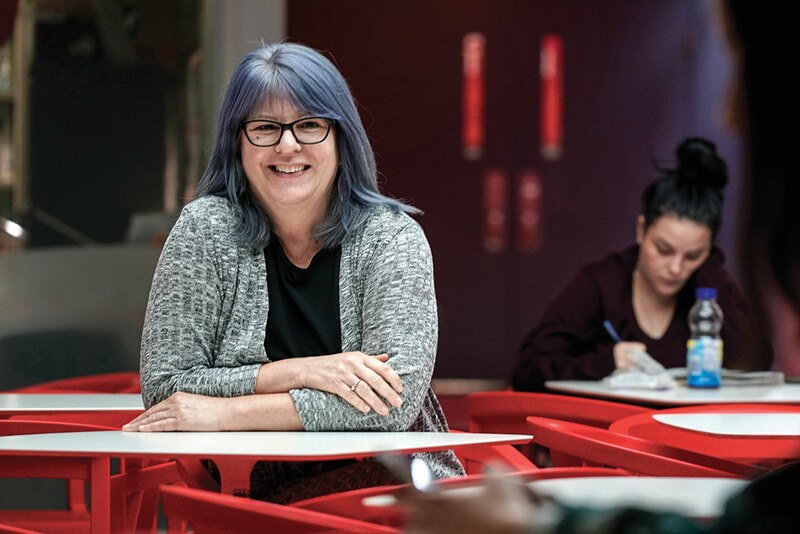 Despite the obstacles, Silvie Lemelin is pleased with the progress women have made and that union life in cégeps is no longer only man’s work. In her union, women militate actively at every level: in local committees, general assemblies, picket lines, or federation and CSQ assemblies. They represent 50% of the FEC-CSQ’s Federal Council and 50% of its Executive Committee. As for support and professional personnel, women are equally as active on the union front. For example, they represent 66% and 54% of active participants in the FPSES-CSQ and FPPC-CSQ Federal Councils, respectively. “If you want things to move forward, you need to get involved, you need to push! It’s not always easy. We expose ourselves to criticism and confrontation, which stops many women from participating. The conciliation of family-work-activism is also an issue. You have to have it in you. However, unionism is so rewarding!” says Monique Lussier. 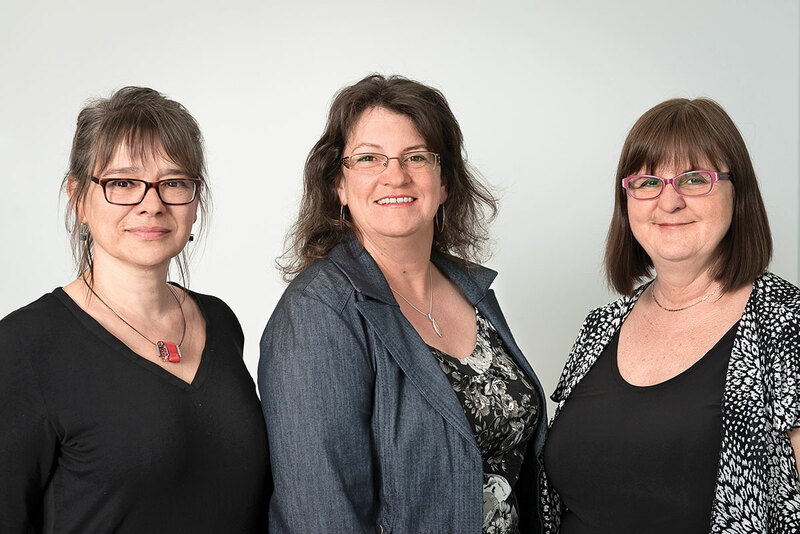 Presidents Lucie Piché (FEC), Anne Dionne (FPSES), and Suzanne Tousignant (FPPC) attest to the progress of women in key positions at the CSQ. 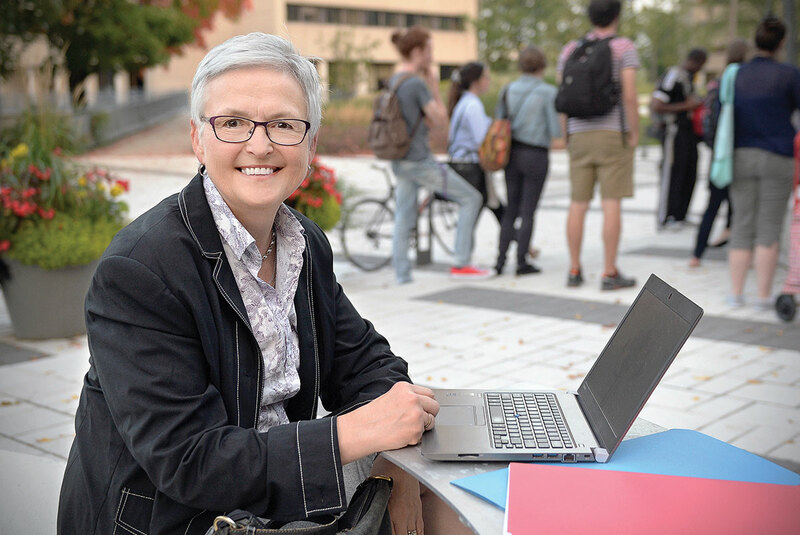 Hélène Lee-Gosselin is currently conducting research on professions in which there were virtually no women 30 years ago, but are now welcoming them in growing numbers. “The belief that equality has been achieved probably leads to ignoring the issues. Cégeps need to be aware and address these questions, notably with training on gender bias and acknowledging cultural issues,” she says. “This is the cost the college network must pay to achieve objectives of equal opportunitity and social justice, which are at the core of the Rapport Parent and which guided their authors 50 years ago,” concludes Lucie Piché. 1 Hélène Lee-Gosselin is a professor in the Management Deparment of Université Laval and director of the Institut Femmes, Sociétés, Égalité et Équité. 2 Lucie Piché is president of the Fédération des enseignantes et enseignants de cégep (FEC-CSQ). 3 Monique Lussier is president of the Syndicat du personnel professionnel du Cégep Marie-Victorin, member of the Fédération du personnel professionnel des collèges (FPPC-CSQ), and student counsellor at Cégep Marie-Victorin. 4 Diane Dufour was a teacher at Cégep de Sainte-Foy, president of the FEC-CSQ from 1986 to 1988, a delegate on a variety of national committees, and a negotiator for the Fédération from 1989 until her retirement. 5 Silvie Lemelin is president of the Syndicat des enseignantes et enseignants du Cégep de Victoriaville and vice-president of the FEC-CSQ. 6 Anne Dionne is president of the Fédération du personnel de soutien de l’enseignement supérieur (FPSES-CSQ). 7 Commission des droits de la personne et des droits de la jeunesse (2016). L’accès à l’égalité en emploi, Rapport sectoriel des cégeps http://www.cdpdj.qc.ca/Publications/Rapport_sectoriel_cegeps.pdf p. 23.